Researchers met in Maine to continue efforts to understand how Wild Blueberries prevent and/or forestall age-related diseases. Results of clinical trials shared at the 11th annual Wild Blueberries Health Research Summit revealed implications for brain health, investigations into antioxidant effects at the cellular level, and effects of blueberries on insulin sensitivity, markers of oxidative stress, and inflammation and cognitive performance. Dr. Jim Sears says eating Wild Blueberries is one of the most important things people can do for their brains. Mid Summer is harvest time for hundreds of local Wild Blueberry producers as their nutritious, delicious crops hit peak ripeness. Mouth-watering expressions of local pride for the cherished fruit flourish this season, and this summer’s regional celebrations are bigger and better than ever, reflecting the Wild Blueberry’s growing popularity. Compelling research about the benefits of Wild Blueberries has prompted a surge of interest in a diet rich in this powerful, nutritious fruit. 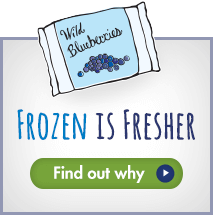 A new web site from The Wild Blueberry Association of North America has responded by offering the latest research, nutritional information and unique summer recipes. Blueberries may have a cardio-protective effect, by significantly lowering cholesterol. USDA’s database of antioxidant values for various foods, places blueberry juice at the top of the list among more than a dozen juices tested including pomegranate, apple, prune, cranberry and Concord grape. USDA scientists recently concluded that eating Wild Blueberries and other antioxidant-rich foods at every meal helps prevent oxidative stress. New research shows that Wild Blueberries have the highest cellular antioxidant activity of selected fruits tested. Public health experts agree, eating a healthy diet rich in colorful fruit and vegetables may help with weight management and may reduce the risk of cancer, diabetes, and other chronic diseases such as cardiovascular disease.